The Polo Puck Pirates Underwater Hockey Club wishes to invite you to participate in the 2012 Manila Invitational Underwater Hockey Tournament -- it is the biggest inter-club tournament in Asia, based in the Philippines. The tournament is going to be held on November 30 to December 2 at the Rizal Memorial Sports Complex, right at the heart of Manila! It is located within Malate, an old district of Manila and the center of nightlife and clubbing. The venue has a 50m x 20m lap pool which features smooth tiles, and depth of up to 6.5ft. Teams will be competing in 3 divisions: Men's Division, Women's Division and the Mixed Division. Please refer to the attached formal invitation for tournament format and rules. Underwater Hockey will certainly be more fun in the Philippines with a side trip to beautiful Coron, in the islands of Palawan! Please refer to the formal invitation for the proposed I.T. 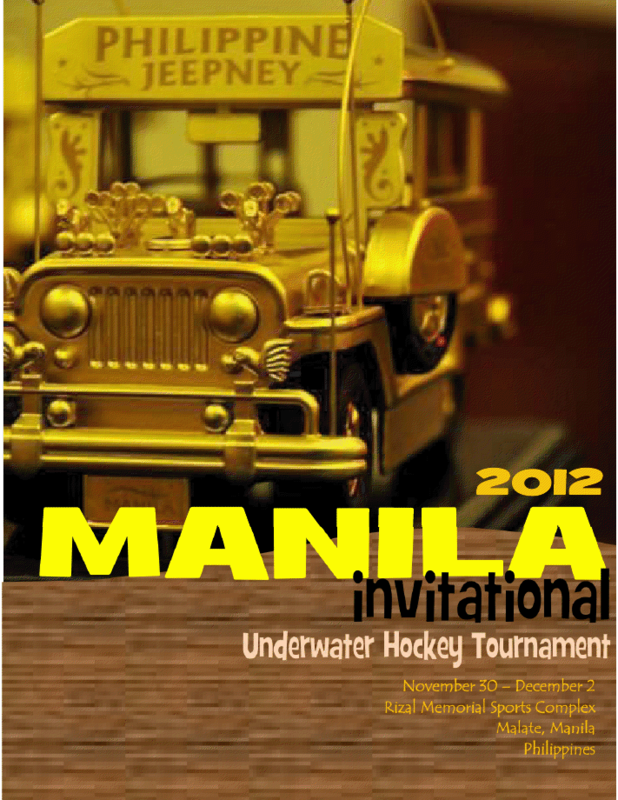 I hope that you will join us for a full week of amazing underwater hockey, fun parties and an exciting get-away!